Last November, we posted about the $3.2 Million iPhone 3GS Supreme. It was certainly not any ordinary phone with 271 grams of 22ct solid gold, front bezel housing 136 flawless diamonds, and rear logo of solid gold having 53 beautiful flawless diamonds, this without a doubt made iPhone 3GS Supreme the most expensive phone in the world. 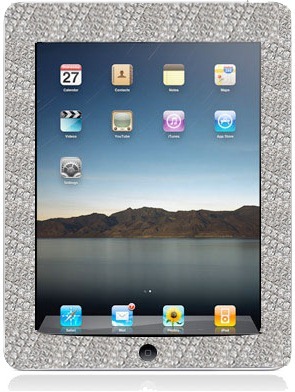 Diamond studded iPad? Ok I don't know about you guys, but this is just well over the top… If you have that much money to spend, well… Spend it on anything else! The rich are different – they can waste good money on things like the above, rather than doing good with it.